Tom Moore is a certified nursing assistant and a certified medication assistant in the Health Care Center at the Golden Years. Tom treats his CNA role as more than just a job, and takes personally his responsibility to care for Golden Years’ seniors. 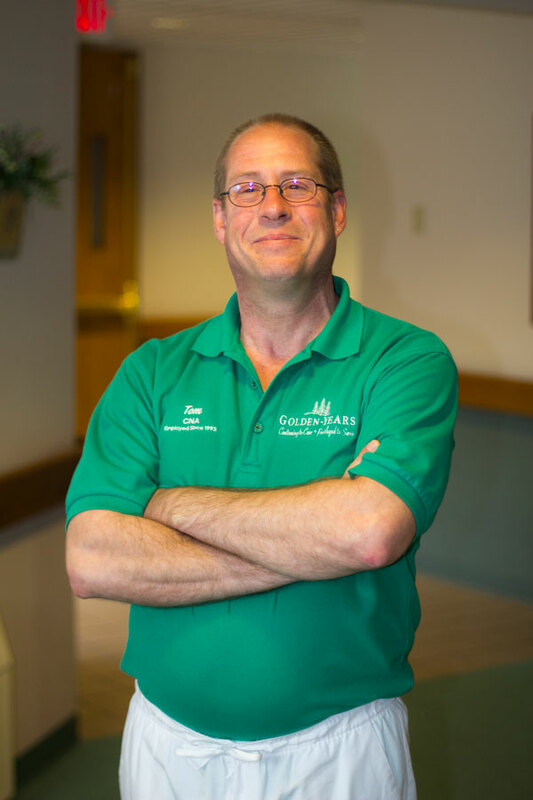 While he manages the variety of tasks he is responsible for, Tom prioritizes providing exceptional care and is often a favorite of residents, families, and fellow staff due to his welcoming personality and genuine kindness. Tom was hired in 1993 and is Golden Years’ longest tenured certified nursing assistant. He met his wife at the Golden Years while she was also employed as a CNA. In 2011, Tom earned an additional certification as a medication assistant and has since added medication administration to his duties in the Health Care Center.